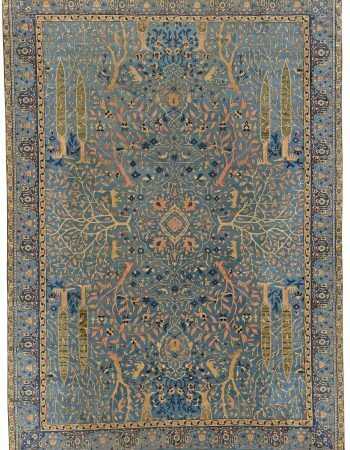 A late 19th century Mashad Persian rug, the dusty peach field with scattered fleurons under a trellis of whimsical scrolling arabesques, palmettes and leafy tendrils within a midnight blue palmette vinery border. 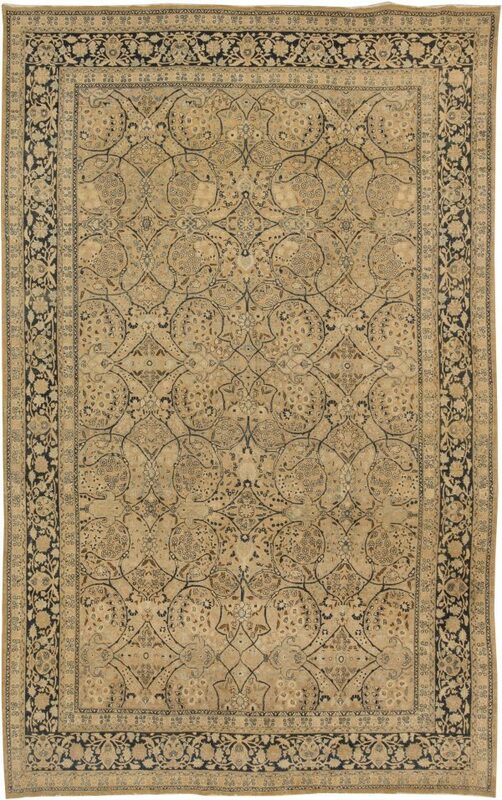 Meshad, is the administrative seat of the Khorassan province which is located in Iran’s east, bordering the Salt Desert to the west and Afghanistan and Turkmenistan to the east. 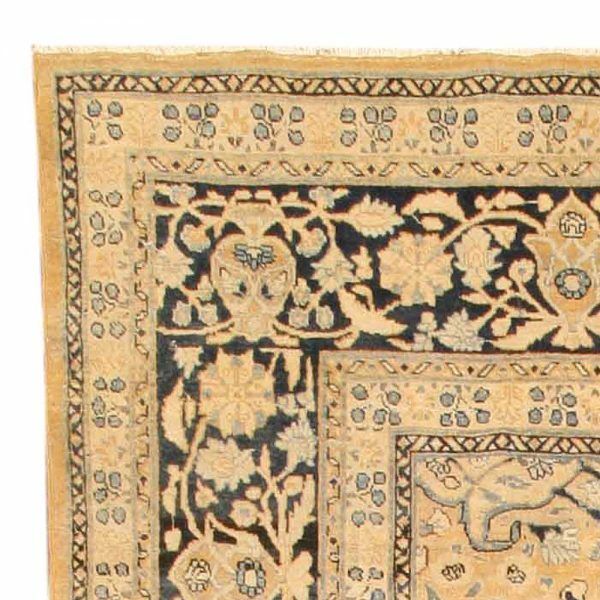 It was a major oasis along the famed Silk Road, which stretched some 4,000 miles from China and India all the way to the Mediterranean which in turn allowed European access to Chinese goods. 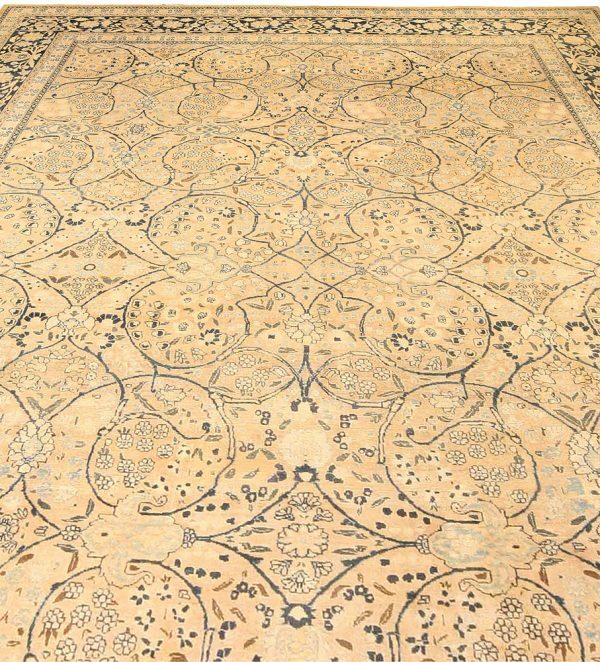 Meshad is currently Iran’s second largest city with over three million residents. 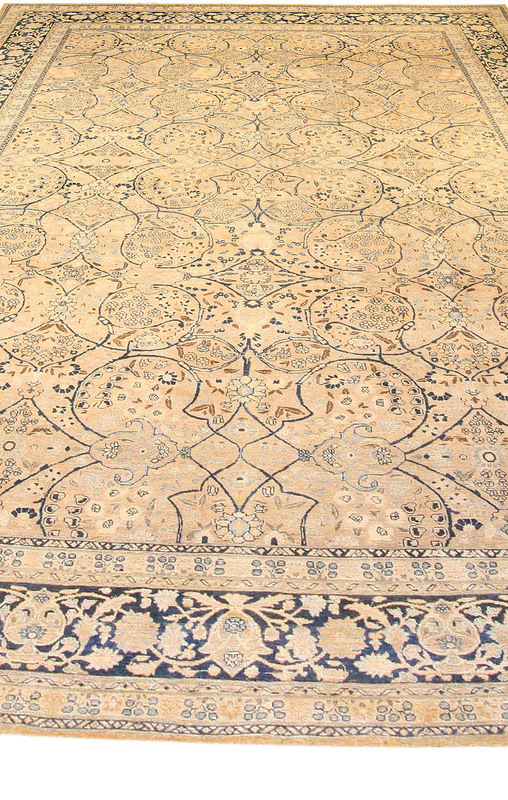 The broader region is home to many well-known antique persian rug workshops in the towns of Amoghli, Khamenei, Makhmalbaf, Saber, and Zarbaf which produce antique rugs that feature both symmetrical and asymmetrical knots. 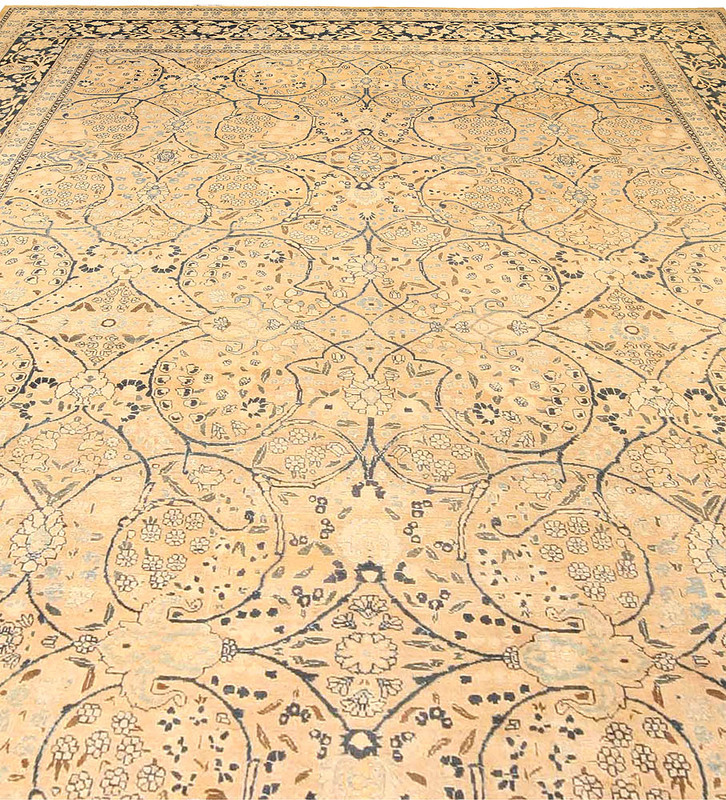 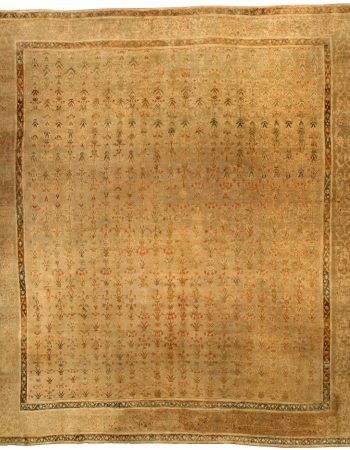 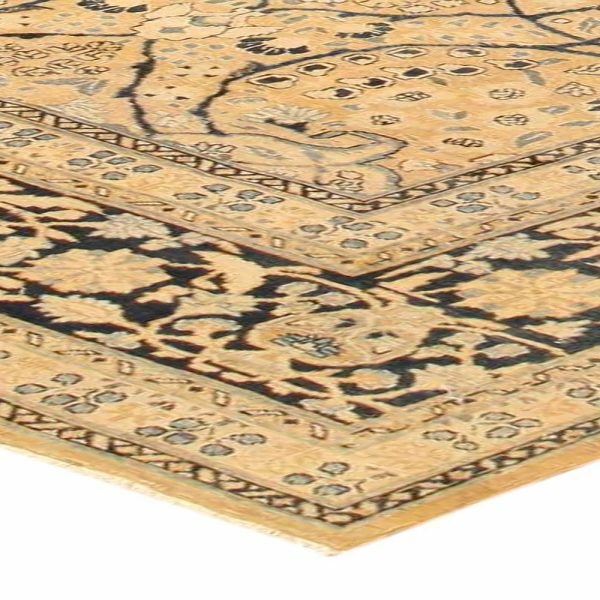 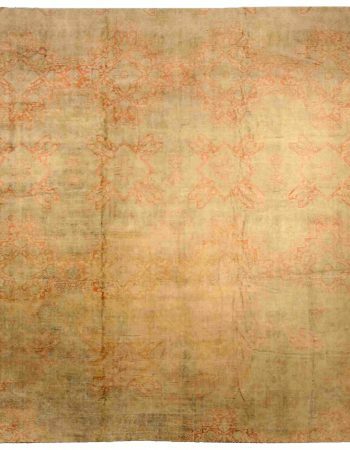 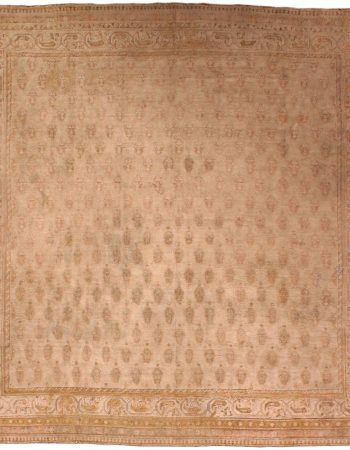 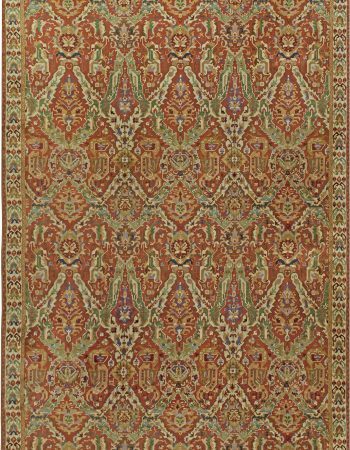 Antique Meshad rugs are ‘jufti’ knotted, a technique used in antique Khorassan carpets and antique Doroksh carpets as well.